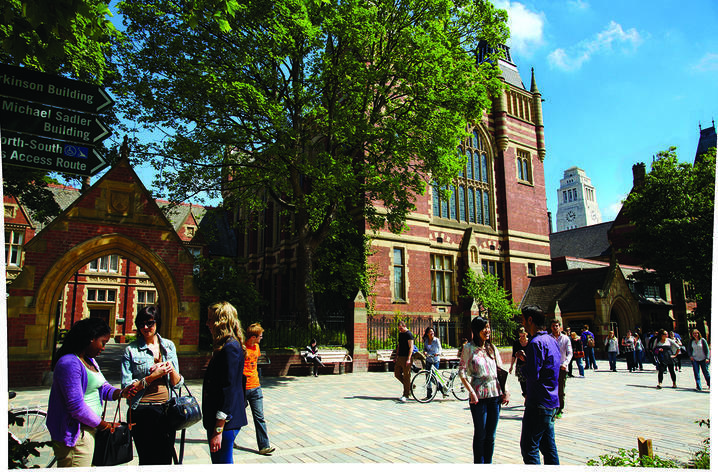 The University of Leeds is a public research university in Leeds, West Yorkshire, England. LEXINGTON, Ky. (Jan. 22, 2019) — For a second year in a row, automatic scholarships totaling $60,000 will be available for select exchange programs, according to an announcement by University of Kentucky Education Abroad and Exchanges (UK EA). UK EA exchanges are programs — that vary from one semester to an entire academic year — in which students earn transfer credits to meet specific course requirements. They also provide a unique opportunity to live like a local and enjoy independence, while exploring another country and its culture. Shelbi Ryan, a marketing major, has already completed two exchange programs while at UK. Most recently, she is the recipient of a scholarship to Charles Sturt University in Australia. “In addition to a great financial opportunity, I believe that going through an exchange program really pushed me to fully immerse myself in the new culture I was living in," Ryan said. "Instead of being in a program with 20 other U.S. students, I was on my own and forced to put myself out there and make friends with new people in that country." After she graduates in May 2019, Ryan plans to move to Sydney, Australia. Exchange programs are designed to be a valuable experience at an affordable price. "When you factor in these scholarships, you may be surprised to find it will actually cost less to spend a semester studying abroad with one of international exchanges partners than to study here in Lexington," Laurence Tuccori, EA exchanges coordinator, said. UK EA is offering scholarships for the following international exchange programs for fall 2019, spring 2020 and academic year 2019-2020. Waseda University (Japan) - three $2,000 scholarships. In in the list of scholarship opportunities is UK's newest exchange partnership with the University of Leeds. "UK students participating in this exchange will be getting a world class experience. It was the 'British University of the Year and is ranked in the top 10 for 2019," Tuccori said. "Not only does Leeds offer a wide range of areas of study — everything from accounting to visual arts — it's also ideally located to explore the history and natural beauty of northern England, Wales and Scotland." UK EA is also offering an automatic $5,000 program fee reduction on all International Student Exchange Programs (ISEP) exchange programs for fall 2019, spring 2020 and academic year 2019-20. ISEP is an exchange organization offering hundreds of areas of study at more than 300 universities in over 50 countries around the world. Students should go online to find their perfect ISEP location. For students interested in an exchange program closer to home, the National Student Exchange (NSE) offers almost 200 exchange institution locations in the U.S., Canada, Puerto Rico, Guam and more. UK EA is providing 10 $1,000 automatic scholarships for students participating on NSE exchanges in fall 2019, spring 2020 or academic year 2019-2020.